Once again, Samsung had proven to be one of the leading mobile phone manufacture in the world by introducing its latest cell phone model called Blue Earth S7550 (SBE). Beside the improvement of its communication technology, the Samsung Blue Earth also emphasized more on eco-friendly design. The blue color theme of this touchscreen mobile phone is inspired by our own planet earth and the support of Samsung toward the global warming campaign. 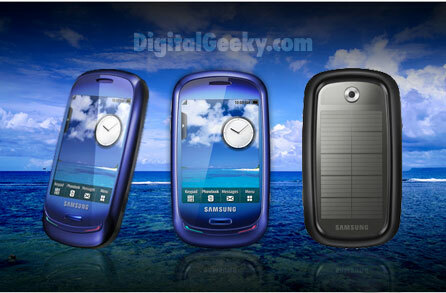 The Samsung Blue Earth was made entirely from recycle material or more specifically, plastic bottles. The usage of this mobile phone also supported by solar energy, which means you don’t have to worry when you forgot to bring your cell phone charger again because the solar panel on the surface of this mobile phone can harvest solar energy from the sun and gives user at least 4 hours of talk time. Besides that, the production of Samsung Blue Earth is free from hazardous material such Polyvinyl Chloride. Users also can control the usage of battery cell by adjusting its display setting. Thus, in a way helping to reduce our environmental pollution. 3.15 megapixel fixed focus camera with smile reflection and QVGA @ 30 fps video recording. Compare to other Samsung’s mobile phone product line, this Samsung Blue Earth is a little bit big in size. 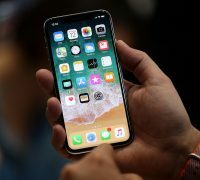 the ‘slim revolution’ in the mobile phone markets around the world, the company specializes in creating ultra slim slides for the connoisseurs. Not just sliders, Samsung has dominated the mobile markets in all segments and form factors.